Mais uma lista pra hoje… essa de jogos de Playstation hoje considerados raros. Alguns bem conhecidos, como o Valkyrie Profile, que saiu bem no fim da vida do Playstation, pouca gente jogou na época, e não tem tantas cópias disponíveis por aí, ou Final Fantasy VII black label, Tales of Destiny II… um que me surpreendeu foi o tal do Team Buddies, é um jogo bem simples, mas muito divertido, nem lembrava dele, foi um dos últimos que joguei pra PS. 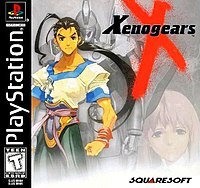 O que eu realmente gostaria de ter, apesar de não ser tão raro, é o da imagem acima, Xenogears (precedeu Xenosaga, parte da mesma equipe do jogo original, mas pela Namco), disparado um dos melhores rpgs que joguei até hoje… bom, tem muita coisa boa na lista, cliquem no link e vejam! This treasure chest of sorts was given away as a tournament prize at the 1998 E3 convention in addition to a few people who worked on Elemental Gearbolt at Working Designs. When all was said and done, only 40 of these sets were produced and given out. The set includes a briefcase, gold GunCon, and gold memory card. Even though it eventually became one of the most recommended RPGs on the Playstation, a limited printing and tepid initial response means there aren’t many copies of Suikoden II available. The great review scores and better sales for Suikoden III possibly helped increase aftermarket demand for the game. 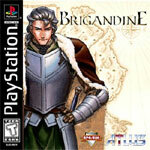 Combining these two factors together makes Suikoden II the most expensive regular-issue game on the Playstation. 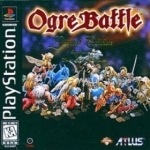 For the longest time, you could find this popular game for a reasonable price (after all, it was the second highest selling game on the PS1 at 9.8 million units), but it still has heavy demand behind it from collectors. As with most Playstation games, the original black-label released command far more from collectors. 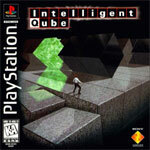 A sealed copy has even sold recently for over $400. Cashing on the DDR craze during the turn of the millennium, this installment has techno-version of Disney songs like “It’s a Small World” and “Supercalifragilisticexpialidocious” in addition to Disney characters dancing on the screen while you play. 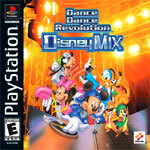 The game is relatively hard to find now and all the Disney collectors and Dance Dance fans help to increase the price. 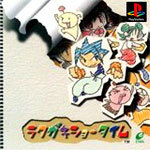 Bust-A-Groove was originally called Bust-A-Move in the Japan but had to change its name in the US to avoid copyright problems with the arcade puzzle game. It is essentially a dancing and fighting combo, which makes Bust a Groove 2 a very unique, genre-bending title. 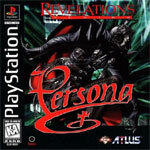 While it might not have as extensive and impressive shmup library as the Sega Saturn and Dreamcast, the Playstation does have a number of exclusive 2D shooters that are essentials for fans of the genre. 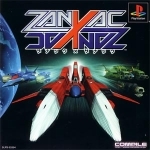 Zanac X Zanac is a Japanese exclusive that not only was a sequel of an NES classic from Compile, but also included the orignal game on the same disc. Credits: Video Game Prices provided by VideoGamePriceCharts.com. The source for daily updated prices on over 10,000 video games. The prices are the highest daily price and average daily price from February, 1st 2008 to April, 8th 2008. Rarity scores are courtesy of my friends at DigitalPress.